Head Hand & Heart has been featured on Wedding Chicks. WOW!! 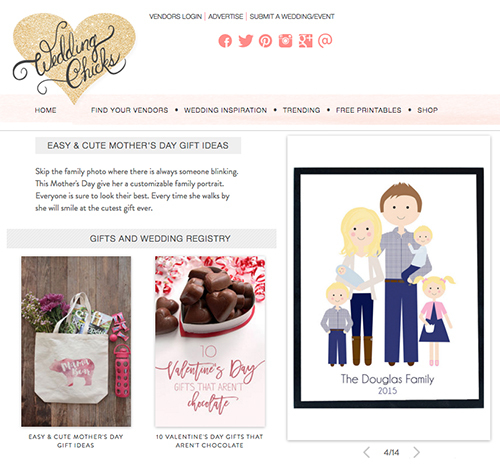 I am thrilled to have my portraits included in their collection of "Easy and Cute Mother's Day Gift Ideas". You can check out the blog and article here.